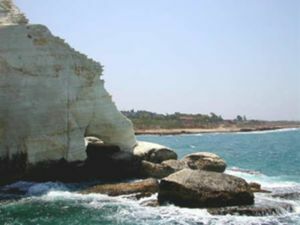 The North Coast of Israel extends along the Mediterranean Sea shoreline for 40 km, from the Carmel Range to Rosh Haniqra on the Israeli border with Lebanon, and inland across the coastal plain for 6 km until it reaches the hills of the Upper Galilee. It is a relatively isolated and tranquil region of great natural beauty, great opportunities for outdoor fun and full of historical and cultural interest. a fascinating historical city on the far north coast of Israel, a UNESCO World Heritage Site, and a pilgrimage site for the Bahá'ís. — Israel's third largest city, main port and industrial city. Nahariyya — the northern terminus of the coastal railway line. 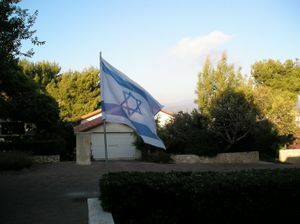 Zikhron Ya'akov - a romantic town on the southern end of the Carmel Range, overlooking the Mediterranean. — a town in the mountains above Nahariyya. Ma'alot-Tarshiha - a historic village in the North Galilean hillside, 20 minutes from the Mediterranean and less than an hour from the Sea of Galilee. Most people speak Hebrew but many residents also speak Arabic, even english and so much more. The people of Israel are very good at understanding other people's accents. Because it is such a diverse state in language and even religions (surprising to some), the people have to be able to communicate with everyone so they get used to listening to and hearing other accents from their own. Highway 85 is an east-west highway in northern Israel. 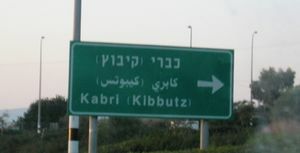 It is one of the most important roads through the Galilee, connecting the western Galilee with the eastern Galilee. 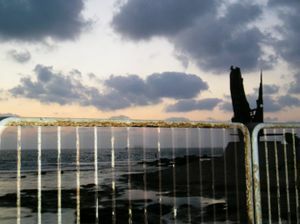 The road begins in Akko on the west coast of Israel and ends in the east just north of Lake Kinneret The road begins at Highway 4 in Akko in the west, and ends at Amiad junction at Highway 90 near Korzim in the east. It is 37 km long. 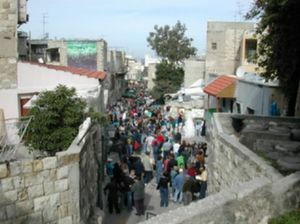 The route from Akko to Hananya junction is old and passes through Beit HaKerem valley. 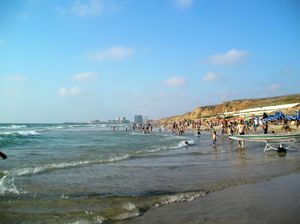 There are guest houses available in Akko, and numerous options for lodging in Haifa. Additionally, kibbutz can be found all over Israel and offer the chance to pay for your lodging by working on the kibbutz itself. This page was last edited on 27 February 2017, at 15:25.